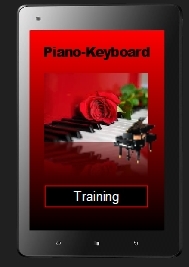 Piano-Keyboard - (EPT) Excellence Private Training Sign up online today! PaSTOR D sign up today for private training (In-Home). We provide piano, guitar, bass, keyboard sequencing, voice, song writing lessons. Also audio & video production graphic design, website designing and ministry preparation & bible training. Learn new and fresh theory techniques for playing traditional & Contemporary Gospel music. Some inspirational music maybe accepted. Learn advance secrets of the pros! If not a first choice, try piano as a secondary instrument. Composing songs is much more convenient on the piano. Piano, in various ways, can be an easy instrument to learn to play. piano requires only that you lay your hands across the keys slightly curved and tap the notes several at a time (chord). Basic keyboard playing does not require that you possess special super fingers. Healthy hands and fingers are all that's needed. Although longer fingers and nimble fingers can be a welcomed advantage. Obviously, Churches and music organizations are always in need of pianist, I place special emphasis on encouraging students to learn piano. Understanding music theory on the piano gives the greatest advantage in understanding how music is put together. Guitarists and bassists who are familiar with playing the piano are usually more versatile and creative on the string instruments. Why should you consider private training? Look for a real teacher to work with you! There no short cuts to obtaining greatness. You must study hard and make the necessary sacrifices to obtain your goals. Do not deceive yourself in to thinking that you can sit in easy street, go online, and pay a few dollars with the hope you are headed toward excellence. Unfortunately, the music ministry in the Church is suffering due to an overbearing increase of paid musicians who cannot be afford or used without a fee, lack of musicians, and too many half-hearted beginners hoping for excellence and recognition without paying the price of success. The Church need more than someone to peck a few notes on an instrument. God's Word states that musicians are to play before the Lord skillful! If playing skillfully is not your first pursuit, the sudden compulsion to play for a Church is a premature move and out of order. Your motivate be somewhat good but not right. Psalms 33:3 Sing unto him a new song; play skillfully with a loud noise. Luke 12:26 If ye then be not able to do that thing which is least, why take ye thought for the rest? How long does it take to learn to play a musical instrument? I knew you were anxious to get to this particular question (smile). What everyone think is satisfactory is different. Also, everyone has a different judgment as to what level they consider "I can now play". Frankly, I feel that most people learn fairly well using the Excellence Private Training teaching method. Usually, after learning your notes on the instrument and a few basic chords, playing simple songs can be done in very little time. No! you will not play with advance proficiencies right away. Yet, the average new students are able to play a song on the first lesson with both hands. By the third and fourth lesson they are familiar with playing several songs. Others sometime take much longer. However, what matter most is that you remain faithful to your training, trust God and enjoying what you do. To God be the glory in amazement of the students who have dared to play in Church service after a few months of training. How long it takes to be able to play is not a necessary question. It takes as long as it takes! God almighty and Him only, have decided what every person purpose is and what is to be accomplished within a given season of time. Ecclesiastes 3:1 states that God has allotted a season for everything to serve its purpose. Ecclesiastes 3:1 To every thing there is a season, and a time to every purpose under the heaven: Therefore, working within God's timing is the determining factor of how long anything takes to blossom. If you desire to know how long it takes to become fruitful in your efforts; it takes as long as the length of God's will. Turn rather, your attention to remaining faithful and committed. It is your path to greatness. CD recording, CD duplication, song composing, music tracks, live photography & video, etc. CD copying service, or song composing service! If you are in need of someone to compose music for you, you need recording studio services. Seek a lawyer to draft you a “Music Composing & Publishing” contract to be used in an agreement with who authors your music or public works. Music Copyrights Societies such as IBM, ASCAP exist for the purpose of protecting the authors of original works. The music business market is filled with deceit, exploitation, trickery, talent-pimping, and thefts. If it wasn’t for the legal organizations that exist to protect original work, years of labor and hard work would never reach the artists who have worked hard to produce their products.